Beat the whipping cream, sugar, and vanilla until stiff peaks form. Stir in the marshmallows, and set aside. Whip the cream cheese together with the brown sugar until its fully combined. 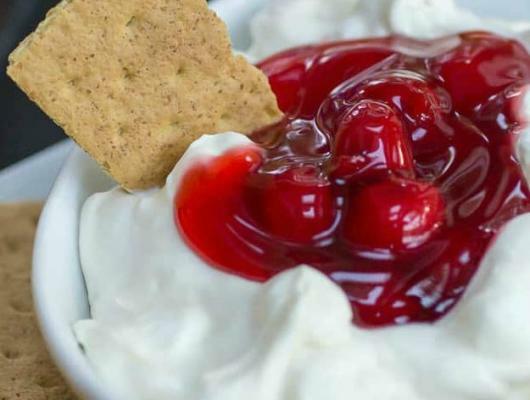 Make sure your cream cheese is totally room temperature or you'll end up with chunks of cream cheese is the final product. Slowly add the milk and continue mixing until its fully incorporated with the cream cheese and brown sugar. Make sure to scrape your mixer or the mixing bowl. Add in the pudding mix, and keep mixing until its thickened. About 5 minutes. Gently stir in the pudding mix with the whipped cream/marshmallow mixture until fully combined. Refrigerate the mixture for at least 4 hours. Top with pie filling right before serving. Serve with Honey Maid Graham Crackers. 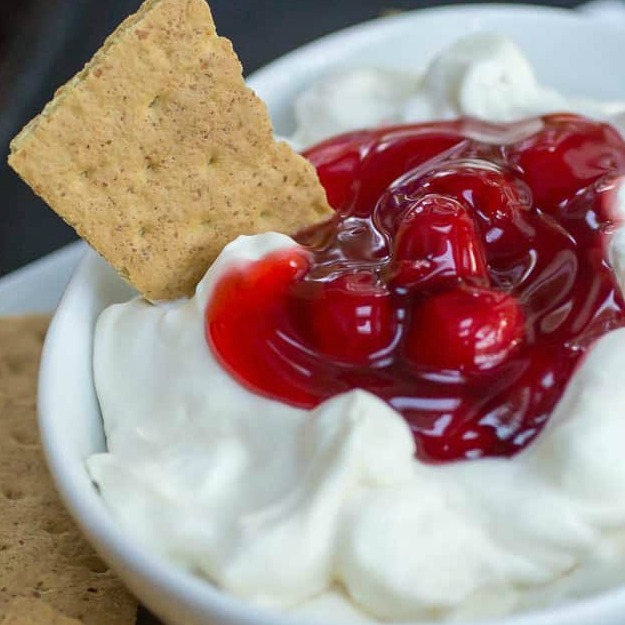 Cherry Cheesecake Dip is a super simple dessert to throw together, and everyone will love it!